InterConnect Server Tools is required for all Portal installations. It's used to apply licenses and to install meta-data (both general product meta-data and customized meta-data). It must be installed on the same server as B1WebAPI, and is required before configuration can be applied to a Portal. 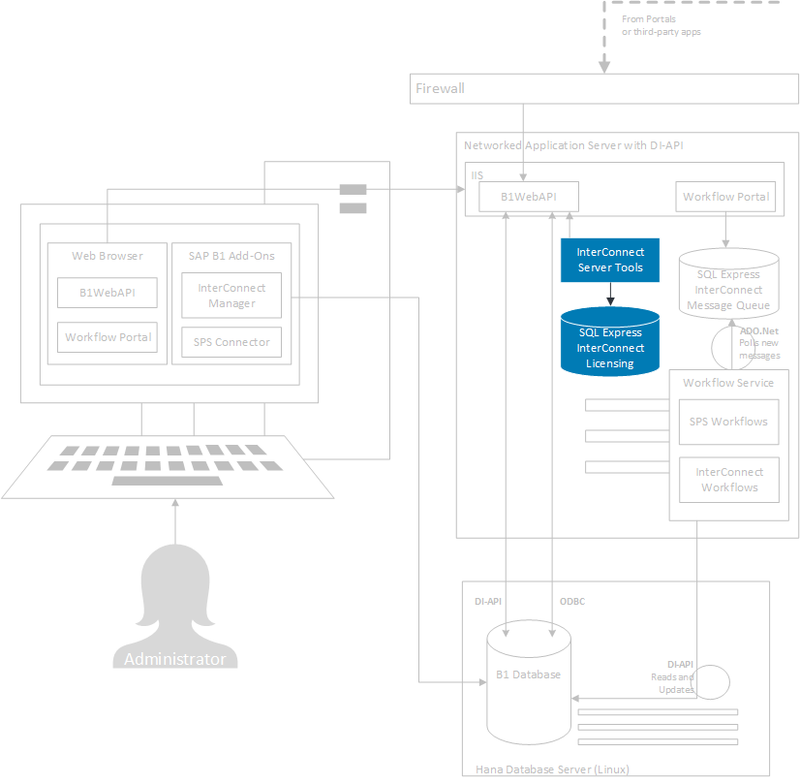 InterConnect Server Tools is used to apply licenses and install metadata. 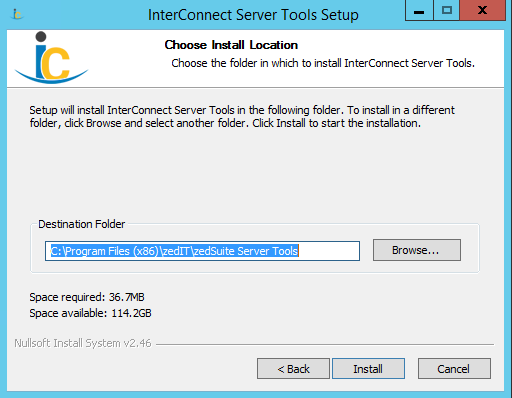 Run the InterConnect Server Tools installer on the SAP Business One server. Step through the installer welcome screen as shown below. 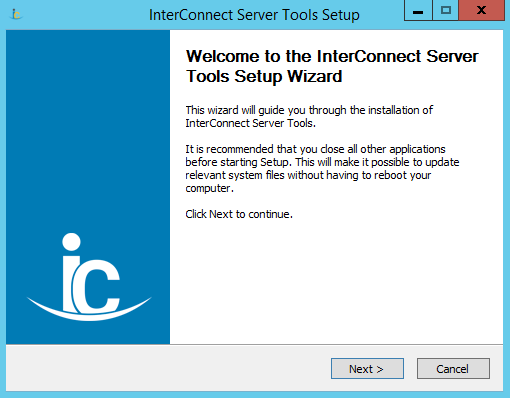 InterConnect Server Tools welcome screen. Press Next to continue. 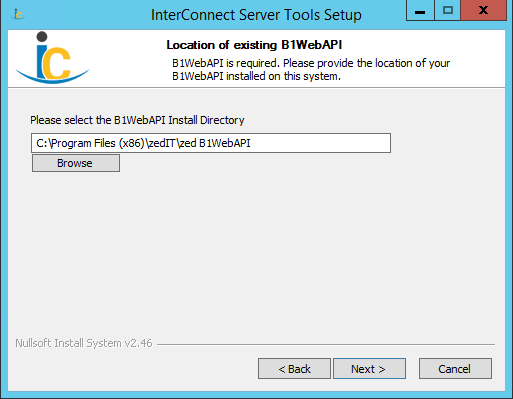 Select the previously installed B1WebAPI location. This will allow InterConnect Server Tools to access profile information associated with the B1WebAPI. Choose B1WebAPI location. Select the B1WebAPI already installed and press Next to continue. Choose install location. This is the location where InterConnect Server Tools application files will reside. 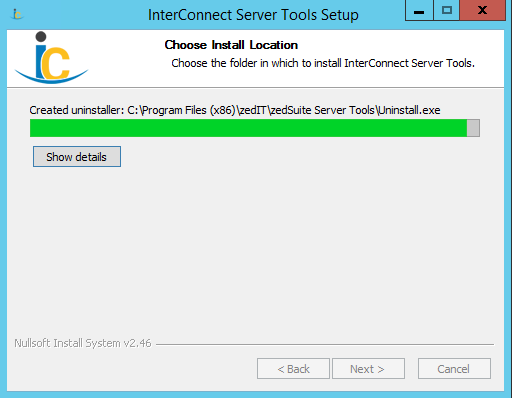 InterConnect Server Tools install Location can be selected. Press Install to complete the installation. Installation should complete after a few seconds. 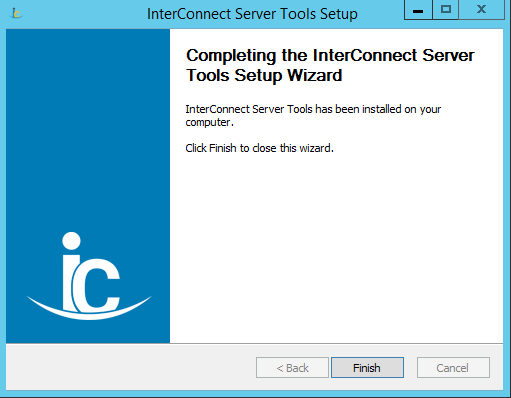 Complete InterConnect Server Tools installation by pressing Finish. At this point, InterConnect Server Tools is installed and a license may be requested.